Archangel Zadkiel via Natalie Glasson: Your Quest for Truth and Fulfillment December 8, 2018 Greeting and angelic love, I am Archangel Zadkiel, I am the overseer and Archangelic representative of the Violet Flame of Transmutation and the 7th Ray of Light…. 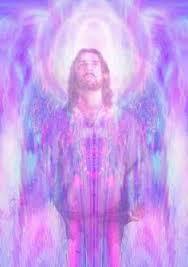 Archangel Zadkiel & Archeia Amethyst ~ Receiving The New Energy By Linda Robinson, May 2018 Greetings Beloved Ones, WE ARE Archangels Zadkiel and Lady Amethyst, and we greet you with Love. Today we wish to discuss receiving the new energy….